Aspirinox Alloys Inc is undoubtedly the leading manufacturer, stockists and suppliers of Super Duplex Zeron 100 Flanges due to their unfaltering perseverance and service. Zeron 100 Pipe Flanges promises guaranteed corrosion resistance in different mineral acids like sulphuric acid and hydrochloric acid. Super duplex pipe flanges are made for use in aggressive environments. The serves to provide great resistance to pitting and crevice corrosion. Our Super Duplex Zeron 100 Slip on Flanges are manufactured with an initial diameter which slightly bigger than the pipe’s exterior diameter. 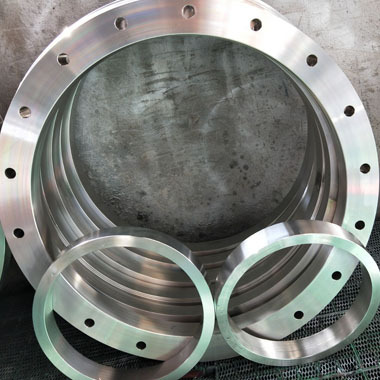 Super Duplex Zeron 100 Weld Neck Flanges comes in two different designs, the regular type is used in pipes and the long type is used in process plants. Super Duplex Zeron 100 Blind Flanges are used at the end of the pipe and cisterns or pressure vessel openings and is used for testing the flow of gas and liquid through a pipe or vessel. Super Duplex Zeron 100 Plate Flanges are mainly deployed in the petrochemical project or pipe engineering and public appliances. The splits ranges are forced for made up of Steel and made with more metals. Threaded Flanges have similar functions to that of slip-on flanges but it has tapered threads and the most important benefit of it if that it can be attached without welding. The Threaded Flanges are available in small diameter and for high-pressure requirements. The exemplary Flanges Fittings catalog is available at affordable prices to discover the best products. Take a tour of the entire catalog at our official website for best service. Enlighten us your requirements and we shall cater to your needs. Also, you can request a free quote today! Specifications for Super Duplex Zeron 100 / UNS S32760 Flanges. If any specification is not mentioned here, please use the contact button for quick quote. Contact us or click on the below button to request a latest Super Duplex Zeron 100 / UNS S32760 Flanges price list. Aspirinox Alloys INC is dedicated to providing the world-class Super Duplex Zeron 100 / UNS S32760 Flanges that cater all your demands at very competitive rates.